What brought you to W12? I've always been a west London man. I was born in W1. My parents ran a private hotel just off Marylebone High Road. Was the hotel like a theatre full of characters? I watched people. Actors are good watchers. We didn't really have a home, just a private side, so we were always on best behaviour. As the voice of the loveable lord of the manor, Nigel Pargetter, the household name from radio classic 'The Archers', do you still feel obliged to be on best behaviour? I shuffle around W12, unshaven and scruffy! I'm not a household name at all. I buy my bread from Laveli. If I want to read the paper I go to the Detour café. Kelly does marvellous homemade kedgeree. I'm terribly pleased that the Monkey Temple is taking off. We also go to PJs, Cedric and Joan's Thai place on the Uxbridge Road. Once I got recognised there by someone who asked me for Nigel's autograph. I had to smile because I was doing a one-man show at the time called 'Don't Call Me Nigel'. There are lots of actors around here. I see them in the Hogarth Club. It's expensive, but you have to keep fit. All an actor has to show for himself is his body. Do you remember the moment you decided to become an actor? I went to a boarding school (Charterhouse in Surrey), and I was very shy – I even stammered a bit – but an English master encouraged me by giving me parts in school plays. In those days, school plays were reserved for the clever people; only bright people acted and I wasn't bright at all. I was a daydreamer. Ralph Richardson went to RADA for a Q&A and one of the teachers asked, don't you think all actors should learn about politics? Ralph said, no, all actors should learn is how to dream, and dream they're other people. I used to daydream a lot. My epiphany came one day when I was crossing the bridge over the River Wey from Godalming Station and I thought to myself, I'm going to try for RADA. I was seventeen. I didn’t tell my parents. I just tried and got in. Who were your contemporaries at RADA? I was with a talented group and some of them went on to become wonderful actors – like Jonathan Pryce, but so many fall by the wayside. It's highly competitive. They only take 26 out of 3500 applicants and of those 26, half will fall by the wayside within three years. I know because I work on RADA's audition panel now. How did you get the part in 'The Archers'? It's always luck in this business. I was doing a George Bernard Shaw play, 'Major Barbara', with Birmingham rep and the then-editor of 'The Archers', William Smethurst, was in the audience looking for a mad Hooray Henry-type. When Nigel was created he was a marvellous character: off-the-wall, jobless, a romantic fool and a buffoon. He was a Tory that people liked. Back then, you could bounce ideas around with the writers. I remember someone said, Nigel should marry Shula, and I said, he would never do that but what about the younger sister, Lizzie? And it wasn't quite so politically correct in those days so I could have a mother who was a drunk. How is 'The Archers' made? Is acting in a radio studio, pretending to be in a field, harder than being filmed actually standing in that field? I think acting on radio is wonderful because you haven't got the distractions or the worries. For a start, you have the script in your hand. You haven't got to worry about learning your lines. And you soon learn to lift the words off the page. And you can really listen to the characters you're playing opposite. Plus you haven't got the distraction of make-up and continuity, so it's very quick. My phone rang on a very damp November the 5th and the editor said, there's a very big story line that you're involved in. It's going to be very exciting. But we're killing you off. There'd been lots of rumours about something big for our 60th anniversary. We joked about how many of us they'd kill in a car crash. It's going to be very exciting. But we're killing you off. How do you feel about being sacrificed? Suffice to say I wasn't surprised by the negative reaction. It didn't seem real someone falling off like that. I don't quite know how they're still living in that house. How can Lizzie live in a house when every time she opens the front door, she's standing on the spot where her beloved husband was splattered from a great height. But, I suppose, if you're looking for some publicity, there's no point killing off a character the audience hates. Do you still listen to it? No. I do occasionally if I'm in the car at that time, but no, not really. How do you view your creation now? A twin who drags you down or an ally who gives you a lift? I'm immensely grateful to be remembered for creating a successful radio character, but I became an actor to play lots of parts. It's so exciting when I play less pleasant people. I did a production of 'Accolade' by Emlyn Williams and it was nice to be the villain of the piece and hear people say, Graham can really act. After leaving, I had a huge splurge of offers doing popular shows. I did a nationwide tour of 'Yes, Prime Minister' as Jim Hacker. 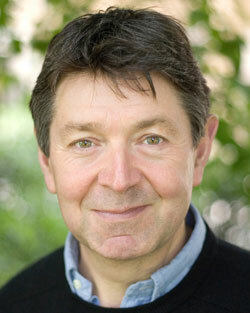 And I've just been in the Salisbury Playhouse doing two plays, a (Terence) Rattigan and an (Alan) Ayckbourn. 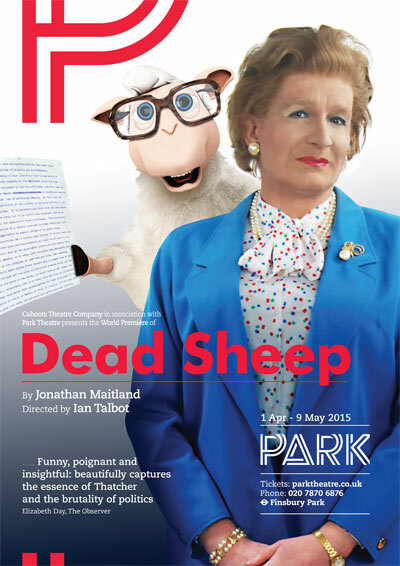 And Now, I'm very excited to be doing a new play, 'Dead Sheep' by Jonathan Maitland (presenter on ITV's 'Tonight'). It's about Geoffrey Howe's famous speech which brought down Mrs Thatcher. Jonny's script is funny, but the underlying question is how far should loyalty go? I play the politician, Ian Gow, Thatcher's staunch ally who was blown up by the IRA. He adored Thatcher, but also adored Geoffrey Howe. They were at school together. He used to say, Geoffrey, you're my best friend, but don't make me choose. We have a great cast, including James Wilby and Jill Baker and it's going to be a lot of fun. There are six of us and we all double and treble. In three scenes I'm Nigel Lawson so I get to be pompous. Mrs Thatcher's being played by Steve Nallon who did Thatcher's voice in 'Spitting Image'. If you weren't an actor, what job might you have chosen? I played cricket as a boy, a wicket keeper, and I was good. I used to be the public announcer at Lords. I loved it. I'd tell people, Ian Botham's hundred came off 76 balls and everyone applauded. It was like they were applauding me. It was hilarious. But I wasn't great because once after a glass of wine at lunch, I said, Graeme Hick's leading out the Worcestershire side. And someone tapped me and said, Nigel, he's not playing today. Thank you, Graham. It's been a real pleasure to meet you. This interview first appeared in ASKEW magazine, March 2015.